Library Home / About Us / 2017 / April / 10 / UBC Library first Canadian institution to provide access to the South China Morning Post’s digital archives. UBC Library first Canadian institution to provide access to the South China Morning Post’s digital archives. 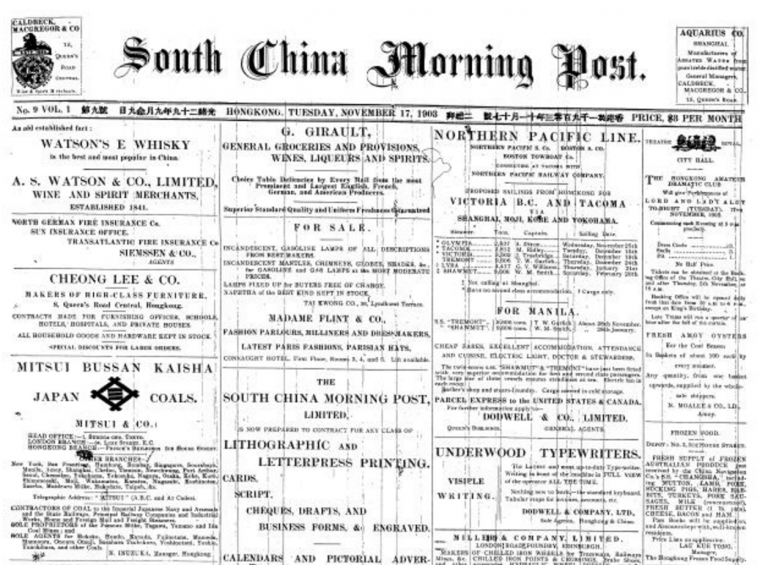 UBC Library is the first institution in Canada to provide access to the South China Morning Post’s digital archives to its users. First published in 1903, the English-language newspaper is a premier publication known for its authoritative, influential and independent reporting on all of Asia. 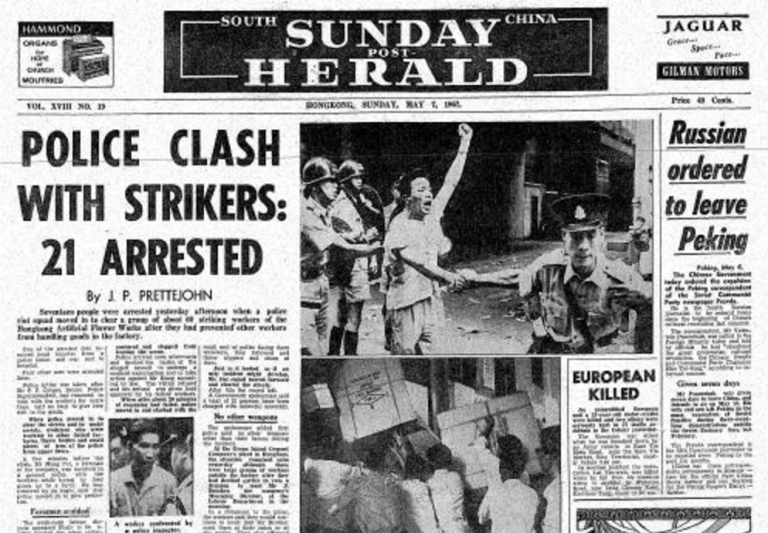 The May 7, 1967 issue of the South China Morning Post covering the Hong Kong Riots. The acquisition will have a significant impact on research in Chinese history, Hong Kong studies, British history, Imperial studies, Asian Canadian and Asian Migration studies as well as Vancouver history. “Access to the complete run of the SCMP means that scholars and students alike are now able to make use of an even wider range of first-hand materials to study Hong Kong and its surrounding regions,” says Shin. Access the South China Morning Post archive.